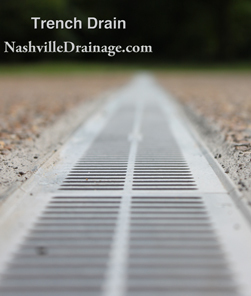 Nashville Trench Drains/ Driveway Channel Drains! 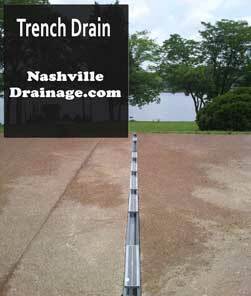 A Trench Drain is also called a Channel Drain which is a Narrow channel that runs across driveways allowing water to drain to the direction you want. Sometimes a trench drain is the perfect solution. A trench drain may involve cutting out concrete to be installed. 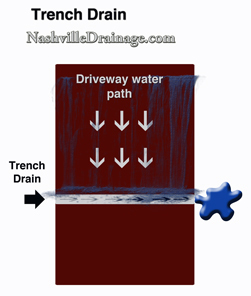 A Trench Drain that crosses someones driveway may be called a driveway drain. 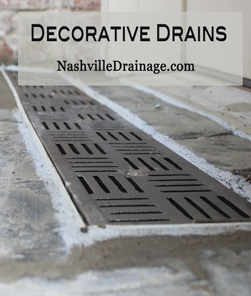 Sometimes these drains are located in front of entrances and garges. You may step over one at your very own garage. This is a diagram of how water behaves when traveling toward a Trench Drain. 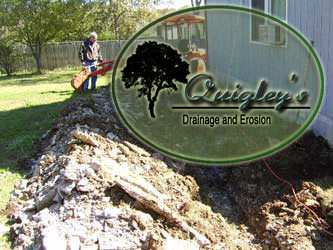 If water is traveling down your driveway and a trench drain is installed the drain will be sloped to send the water to one side of the driveway where it can disperse. 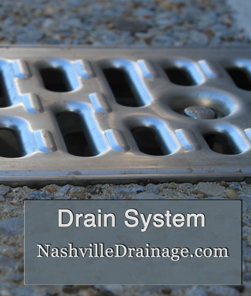 Lets look at some Channel Drain Grate Cover Choices by clicking here.